Operations Guide of Drill Bit Grinding - Purros Machinery Co.,Ltd. Put the clamping fixture sets into the adjustment platform, clinging, and thenrotate clockwise to Locate. First, to insert the drill bit into the bottom; second, to nudge it that let to touch the flat surface, then to rotate rightand locking. To rotate right chuck sets until to the bottom and locking. 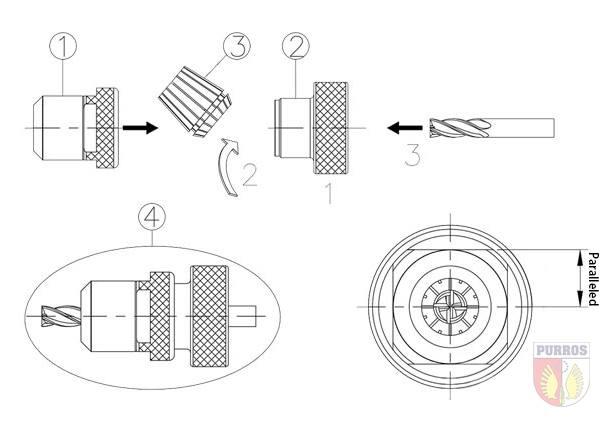 When taking out, holding the fixed chuck nut slightly to rotate left, and then take it. As shown in figure below to: The center blade should be paralleled to the base line under the base slot. Put the fixture sets into the grooves of the grinding seat, rotate the fixture sets clockwise and counterclockwise, rotating while going ahead until to the bottom. At this time, the drill bit began to be grinded by grinding wheel on the drill bit grinder with the sound. If there is quite, take it out, and then turn drill bit 180 degrees to repeat with the above steps. All of steps are done; the grinding point angle is ok. Put the fixture sets into the grinding seat that for grinding lip relief angle, align the retaining pin then gently push drill bit, until there is quite, take drill bit out. Put the fixture sets into sharpened grinding seats after launching the drill bit grinder, gently push drill bit until the bottom, rotate the drill bit shank until there is quite, take it out. Next, to turn drill bit 180 degrees to repeat with the above steps. All of steps are done; the front cutting lip is ok. 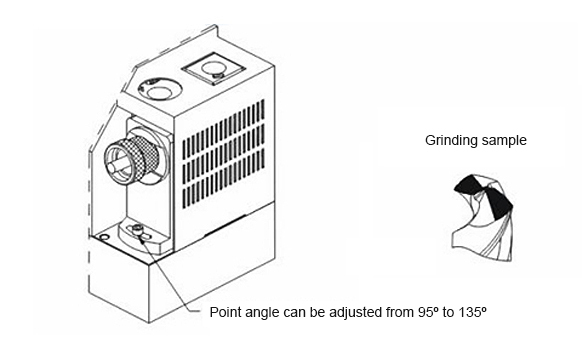 The drill bit grinder should be cleaned by air pressure gun before using, cleaning all iron filings, in particular the grinding hole of grinder machine to ensure the machine’s service life. Launch before, ensuring the working voltage and working frequency on the label to be consistent with the power supply. Ensuing the power plug of drill bit grinder and socket should be secure, no loose or touching phenomenon. The plug should be unplugged immediately if there is going wrong or abnormal sound, and then detection and maintenance. Do not allow the drill bit grinder is working in unattended conditions, to ensure the drill bit is off before going away. 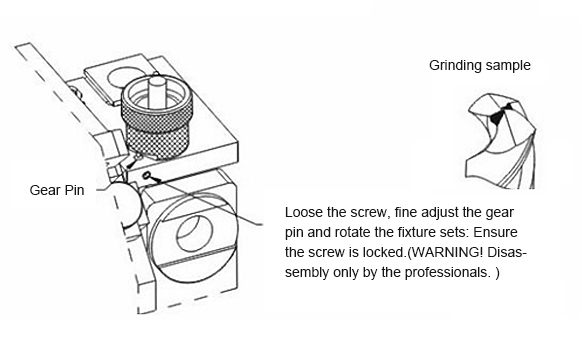 Do not allow operating drill bit grinder machining in fatigue, drinking, or anesthetic. 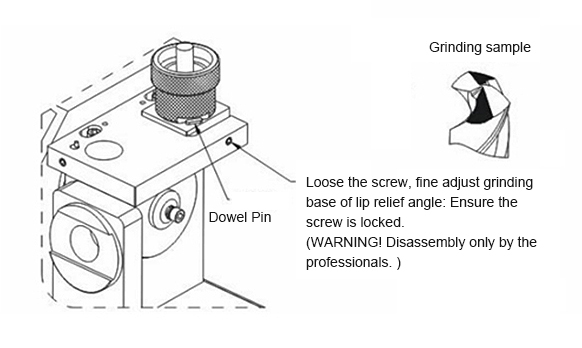 If the parts attached of the drill bit grinder are damaged, please do not use any other parts to replace it, using only after replacing the original parts. If this article is useful to you, please download the PDF file. PURROS Machine is a complete destination of machine tools and assortment of workshop supportive equipments. We have wide range of equipments to support metal and machine industries in multiple facets of machining operations starting from drilling to tapping, surfacing, shaping, bending, etc. We supply compact machining devices such as drill bit grinder in different models bearing variations in drilling capacities and are suitable for complicated and minute drill bits efficiently. Posted in Technology and tagged bit grinder machining, drill bit, drill bit grinder, Operations Guide.